is a leading cross-cultural training, coaching and global management consulting firm that has been helping companies develop culturally savvy leaders and teams---- in 25+ countries. Founded in 1982 in India and in Boston, USA in 1985, it was the first cross-cultural consulting firm in India, and has been doing pioneering cross-cultural training and coaching work with MNCs in India and across several countries since. We bring unique cultural insights and strategies, as we develop the cross-cultural awareness, management and communication competencies needed to help people in MNCs succeed. We help global leaders and their cross-border teams excel, and make extraordinary things happen as they work together, while avoiding the cultural pitfalls that can significantly hinder their business success. 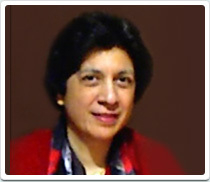 The Founder and President, Dr. Zareen Karani Araoz, a leading cross-cultural consultant, trainer, coach and management educator, is originally from India, but located mainly in Boston US, spends several months a year in India, and has consulted in over 25 countries (for details of countries, please click here). She leads this specialized practice, assisted by other Country Specialists, who have in-depth expertise of leadership development and teamwork in 30+ cultures. also has corporate culture consultants, who help companies develop creative work environments and corporate values, that bring out the best potential of diverse team members. specializes in helping companies working with and in India, USA, Germany, Sweden, Austria, Switzerland, Singapore, Malaysia and China, and also has experienced Senior Country Specialists for 33 countries, with in-depth cross-cultural management insights and experiences coaching Country Managers, and training leaders and teams in MNCs. was founded in Pune, India 1982 and in Boston, USA in 1985, by Dr. Zareen Karani Araoz. It was the first such consulting firm in India, and has been doing pioneering work with MNCs in India and across several countries since. Dr. Zareen Karani Araoz is International Past President of the Society for Intercultural Education Training & Research, and as a full Professor was the Founder Director of the pioneering Master’s Program in Intercultural Relations including Intercultural Management) at Lesley University, where she directed a graduate program that trained cross-cultural trainers and cross-cultural consultants and coaches. She has consulted in 27 countries, helped corporate leaders excel and build dynamic cross-border teams, while helping companies succeed in the rapidly changing global marketplace. Dr. Araoz is respected as a pioneer and leader in cross-cultural management. She and her associates are widely sought after by global companies who value their insights to help their global teams succeed. She is also widely called on by MNCs and by other cross-cultural training and consulting firms as the India Specialist, because of her long experience and expertise in helping MNCs in India, as well as helping Indian companies go global.